IF YOU'RE driving down Zunker St on Monday, make sure to check your speedo. Under a collaboration between Bundaberg Regional Council, residents and police, it's hoped the area will be safer for pedestrians with the reduction of the speed limit. 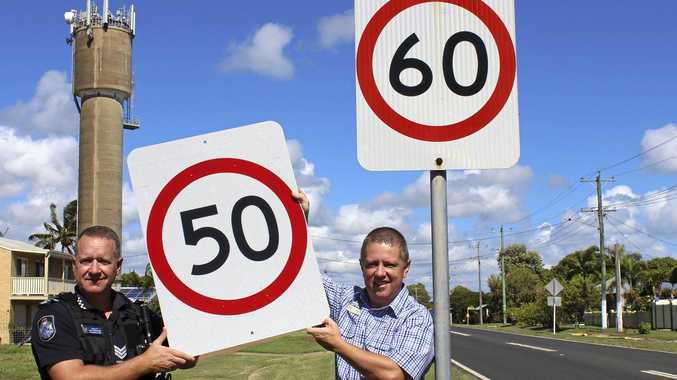 Councillor Scott Rowleson said the council had been aware for some time that residents, in particular the Burnett Heads Neighbourhood Watch group, wanted the speed limit on Zunker St reduced from 60km/h to 50km/h. "Council recently took control of this road from the State Government, which has given us the authority to act on behalf of residents in changing the speed limit,” Cr Rowleson said. "Zunker St forms part of council's Burnett Heads Town Centre Redevelopment area and we are working to create a welcoming and vibrant area for residents and visitors accessing local business and public parks and facilities. "We were pleased to work with the Neighbourhood Watch group to make this speed limit change, which they believe will make a significant improvement in safety in this area for pedestrians and wildlife. Burnett Heads Neighbourhood Watch secretary Dawn Lawrence said the group was thrilled with the change, which would offer a safer environment for pedestrians and in particular the schoolchildren who regularly cross the road. The speed limit change will take effect from Monday, February 12.